Day 8: I'm grateful that I had a (pretty much) fun career. My first paycheck was from Yale University. I was 16. I had a two-week job doing something related to key punch cards for an early computer system. Got it because my girlfriend's father knew someone at Yale. Moved on to waitressing at The Farm Shop, which sold ice cream and sandwiches. Cried like a baby when someone stole my $1 tip!!! Then I went on workmen's comp because I twisted my wrist scooping ice cream. And that was the end of that. Then I got a job as a cashier at Stop and Shop. This was a great job because it was a union job. I got it because my father knew somebody. $1.95 an hour when minimum wage was $1.60. Worked at this job through most of college. I was horrible as a supermarket cashier. Oh, I pressed the right keys and gave the right change and packed the groceries with the cans on the bottom and the bread on the top, but I stuck to the rules like a nun on steroids. You can't buy foreign products, or paper goods, with food stamps. No one was going to "break the law" under my watch. I separated out all the canned Italian tomatoes and toilet paper, so the old Italian ladies on food stamps were forced to spend cash on them. "Buy American" is great until you try and make tomato sauce with tomatoes grown anywhere but the home country and you have to spend your utility money on toilet paper. Plus, it was humiliating. Old ladies avoided me. Seriously. They chose to wait in line to get any cashier other than me. Their father was a world renowned child psychiatrist and the mom was a child psychologist. Why these two smart as a whip folks hired me remains a mystery. They were fantastic people and encouraged me to apply to law school, which I did. I was so sad when I learned that the Dad had died so young. I had a bunch of law school jobs, and after I graduated, I worked at legal aid for about 10 years, then the US Department of Justice for a couple of years, followed by 26 years at the Department of Education. I had funny, smart, and hard working coworkers at every job and always had great assignments. Legal aid showed me another world; I met my husband at DOJ; and I laughed every day at the Department of Ed (great coworkers plus a bureaucracy that begged to be mocked). I read your stories and think, there still may be a job as a writer somewhere waiting to break out from the rules. :) Surely enJOY your gratitude, makes me want to dig up some of mine! 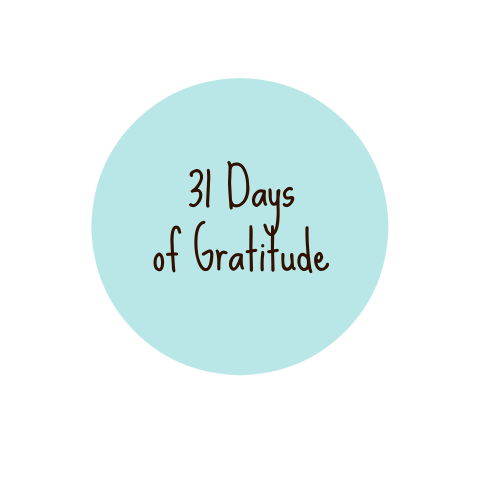 I've found this 31 day thing very much worthwhile! Ha! I had my moments, like most kids!! Interesting group of jobs. Wonder if I could remember all of mine! 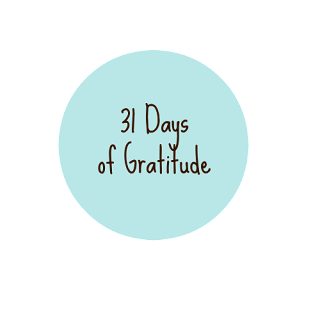 :-) I too think being a writer is your forte, and your days of gratitude is a wonderful idea. I chose to stay home with my kids. I'm sure I made the right decision for my kids - not sure it was the best decision for me. That said, I had a series of home-based businesses. I taught painting classes. I sold kitchen tools. Now I sell diamonds and custom jewelry. No regrets. Your career sounds amazing!